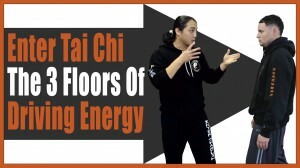 Kung Fu Training – Are you Driving Energy Or Pushing Energy? 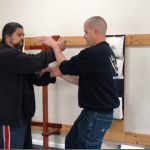 You are here: Home / Kung Fu Training / Kung Fu Training – Are you Driving Energy Or Pushing Energy? Often times martial art practitioners end up pushing energy rather than driving energy. The result is their attacks aren’t as powerful as they can be and sometimes they tend to over shoot their intended target. Another problem occurs because ultimately the longer a person practices pushing energy the harder the habit is to break. I know through training with people some folks don’t realize they are pushing energy. They will swear up and down that they are not pushing energy until I demonstrate to them the difference. Then the process of correcting the bad habit that was formed begins. This is actually a easy problem to correct. This video will help you understand the difference between driving energy and pushing energy. Great demo of driving versus pushing energy! Thanks for adding a link to my blog post too! BTW My Tai Chi Sifu also does Kung Fu!